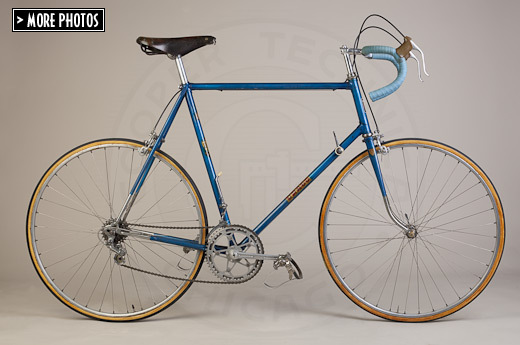 I believe that this particular frame was made in 1958 using Vitus tubing and Nervex lugs. 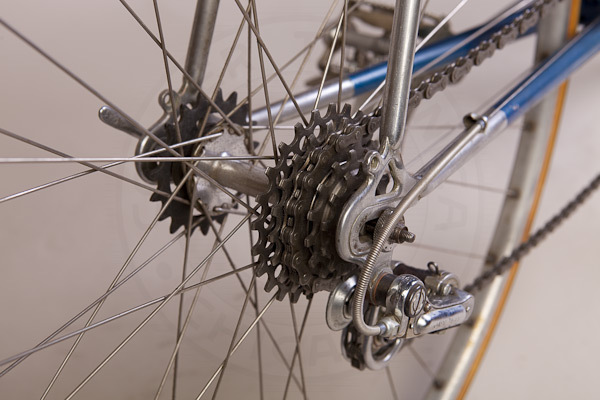 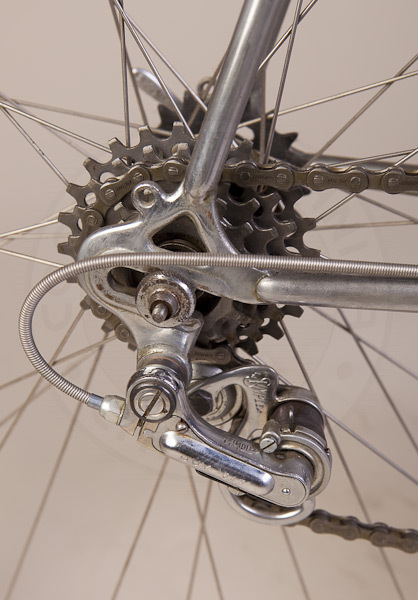 It is equipped with the original Simplex lever-operated front derailleur and Simplex JUY 543 rear derailleur, Stronglight crankset, Ideale 52 saddle and Weinmann brakes. 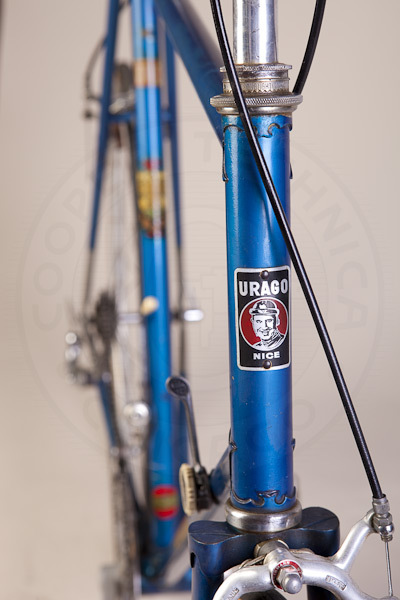 The previous owner had tried to refinish the frame using brush paint, but at least he painted around the original decals. 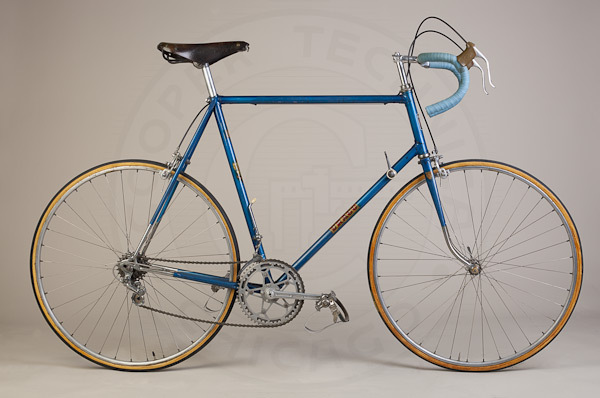 It will need restoration one day. 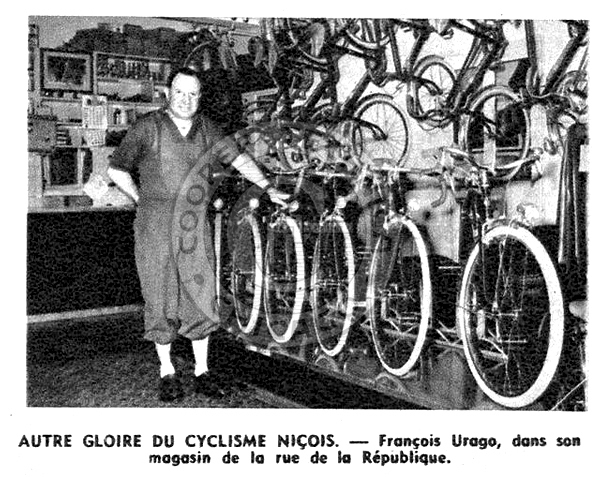 François Urago, one of the Urago two brothers, in his shop in Nice in 1956.